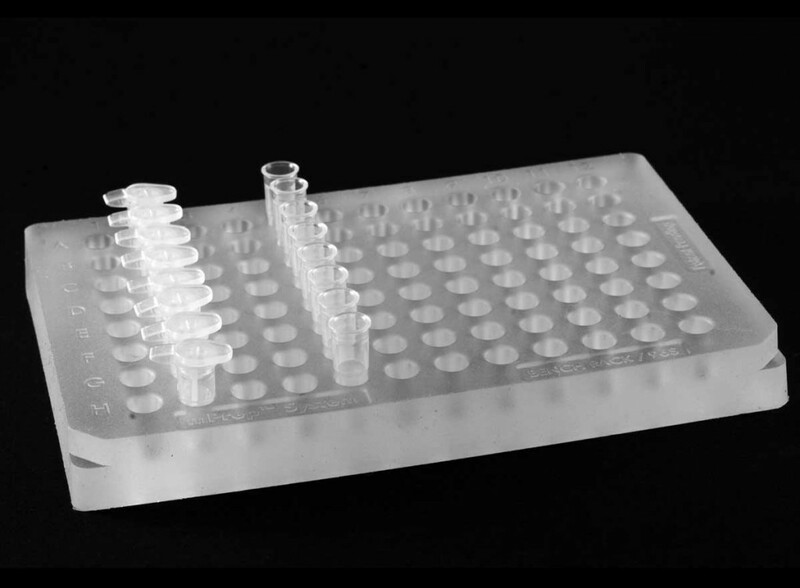 The mPrep™ System saves you effort while protecting and keeping track of valuable samples. The system features two types of purpose-built, microliter-volume capsules – one for specimens, the other for grids. 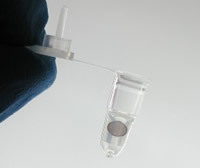 Capsules attach to standard pipettors, which are used to conveniently deliver reagents in measured amounts. Users get consistent sample preparation with almost no direct handling of specimens and grids. Once the tissue or grid is in its own, labeled capsule, you don't have to touch it again during processing. It is safe, easy-to-handle and clearly labeled. The small, enclosed capsule, reduces reagent consumption. The system adapts to any protocol for biospecimen preparation, grid staining or immuno-labeling. Multi-channel pipettors enable users to increase throughput, with virtually no extra effort. Read more to see how these cleverly designed capsules work! mPrep/s™ capsules allow users to fix, dehydrate and embed specimens in a single vessel. They can be used in two ways. The first method is to entrap specimens in the bottom of the capsule using the removable, adjustable screen with the hand-held Insertion Tool (85010-03). The second method is to flex the screen open using the mPrep/s™ Workstation* (85010-06). With the screen opened, the user places a specimen in the screen and orients it to the desired position within the capsule. Once the screen closes on the specimen, it is held in place throughout fixation, embedding, and sectioning. 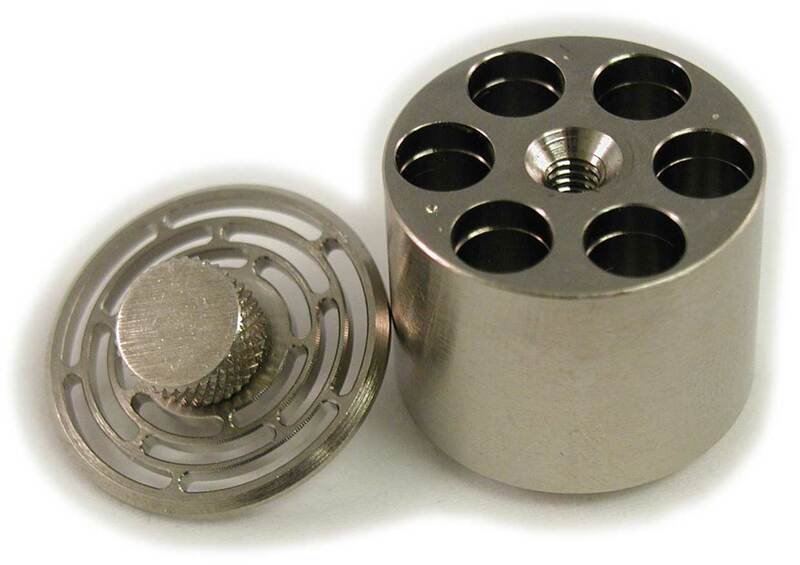 No additional embedding molds are required, and the capsule itself easily fits in the microtome chuck. This capsule is highly recommended for transmission and scanning electron microscopy, but can also be used for any sample preparation. 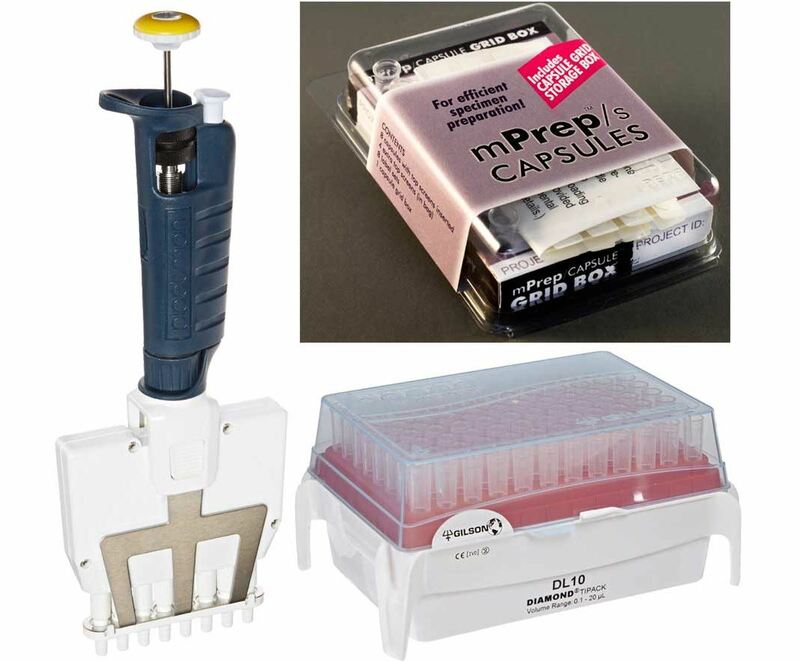 mPrep/s™ capsules are available in storage boxes or in bulk. 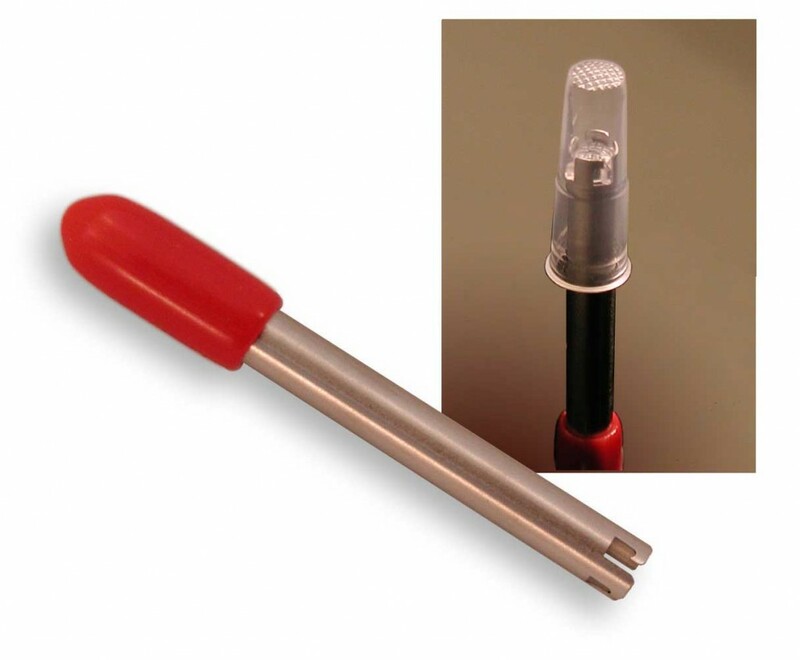 The hand-held Insertion Tool (85010-03), the Workstation* (85010-06), and additional recommended accessories for use with the mPrep/s™ capsule are located below and at the end of this page. * The Workstation is required to make use of the orientation feature of the mPrep/s™ screen. Each capsule can hold one or two TEM grids securely for staining, immuno-labeling and labeled storage. Grids are protected from loss, misidentification, and damage. Grid-tite™ slots keep grids safe even if an open capsule is dropped. Grids require handling only twice: when inserted into capsules and when placed in the TEM. Using a multi-channel pipettor, processing up to 24 grids simultaneously takes no more effort than a single grid. 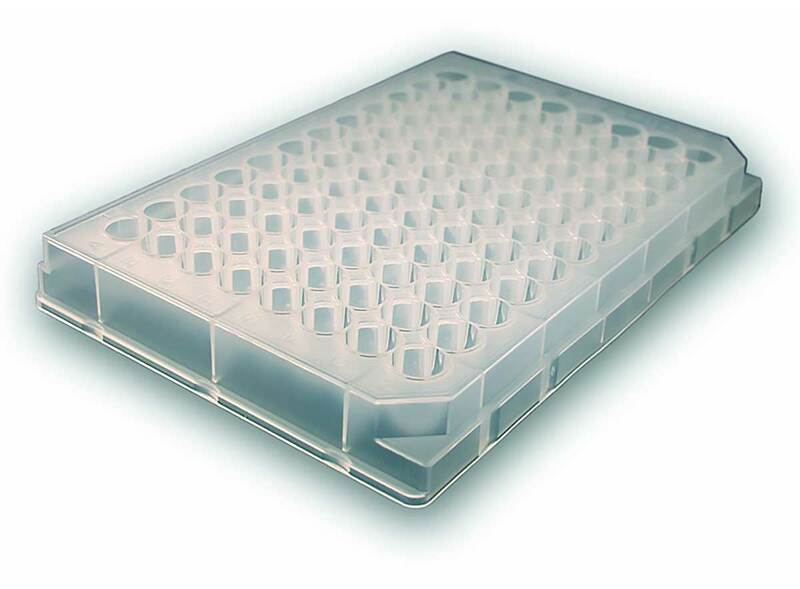 Reagent consumption is as little as 20µl per grid. The chance of grid damage or loss is greatly reduced using these capsules. See mPrep/g™ Pipettor Kits (85010-07 to 85010-10) and additional accessories below. 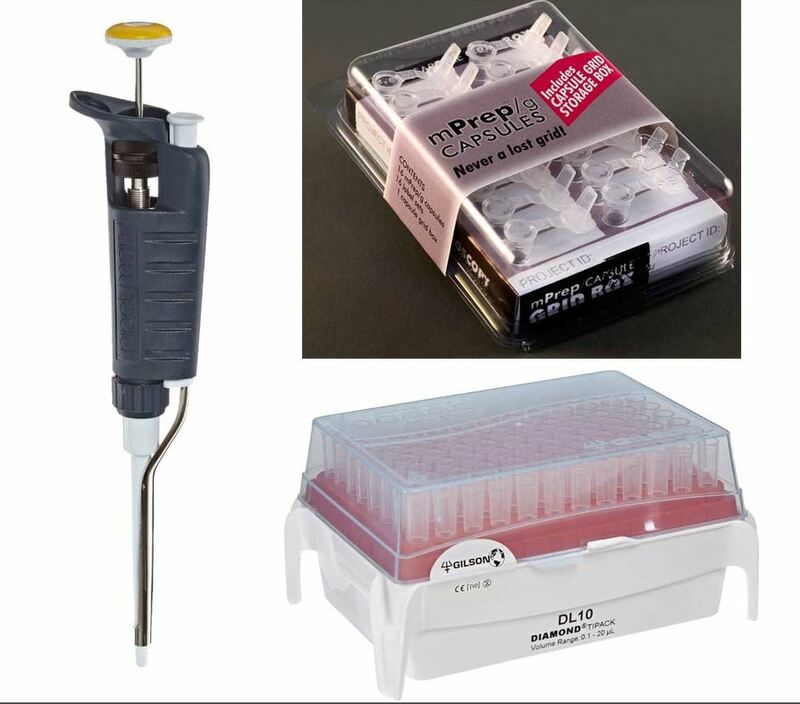 Everything you need to work efficiently while preparing your samples using mPrep/s™ capsules is easily accomplished with the mPrep/s™ WorkStation. Simply load the capsule onto the built-in insertion tool at the center of the workstation, detach the screen from the capsule, use the lever to open the screen and insert the specimen. Then release the lever and re-attach the capsule. Once loaded, the sample requires no additional handling – even for TEM embedding or SEM mounting. The mPrep/s™ Workstation's polyethylene surface minimizes dulling of dissection tools and is fully immersible for easy cleaning between uses. Molded into the surface are 12 dissection wells to organize your specimens and keep them wet if desired. At the back, 12 capsule wells and 3 screen holders conveniently hold these prior to use. 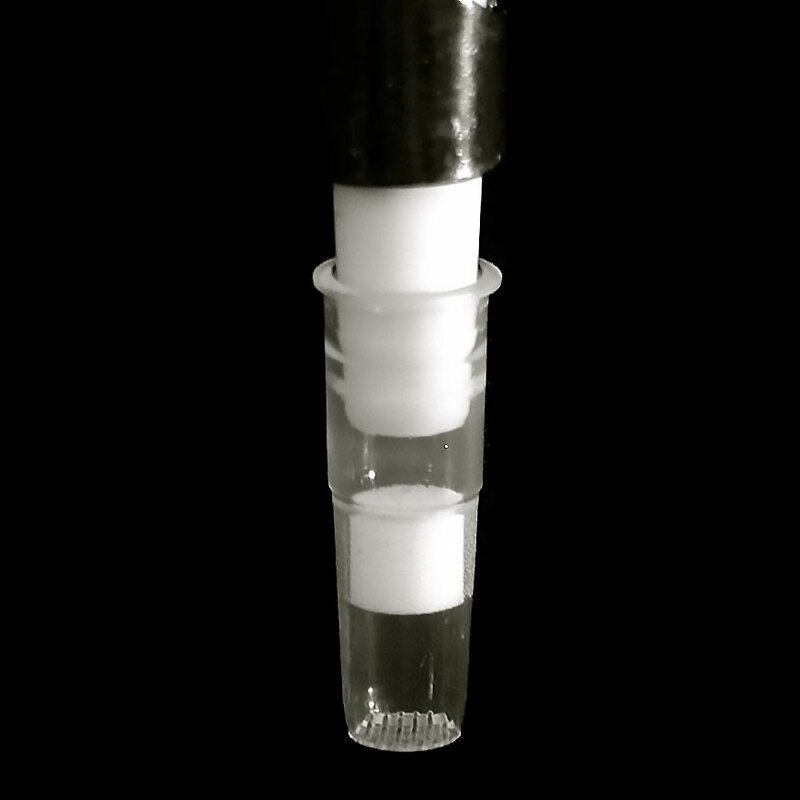 On either side of the workstation, a total of 24 capsule wells can hold loaded capsules and keep them wet while loading into the channels of the pipettor. Single and multichannel pipettor kits are sold separately. Additional recommended accessories for use with the mPrep/s™ Workstation are located the end of this page. Choose from either single- or multi-channel pipettor kits built around mPrep/s™ or mPrep/g™ capsules. Filter couplers prevent the introduction of damaging reagents into pipettors. They also improve the fit of mPrep/g™ capsules on some pipettors. Pack includes 16 filter couplers and a capsule storage box. Standard mPrep/f30™: nominal 30 µm pore size filter appropriate for most applications. Extreme mPrep/f13™: nominal 13 µm pore size filter for use with biohazards and very aggressive reagents. 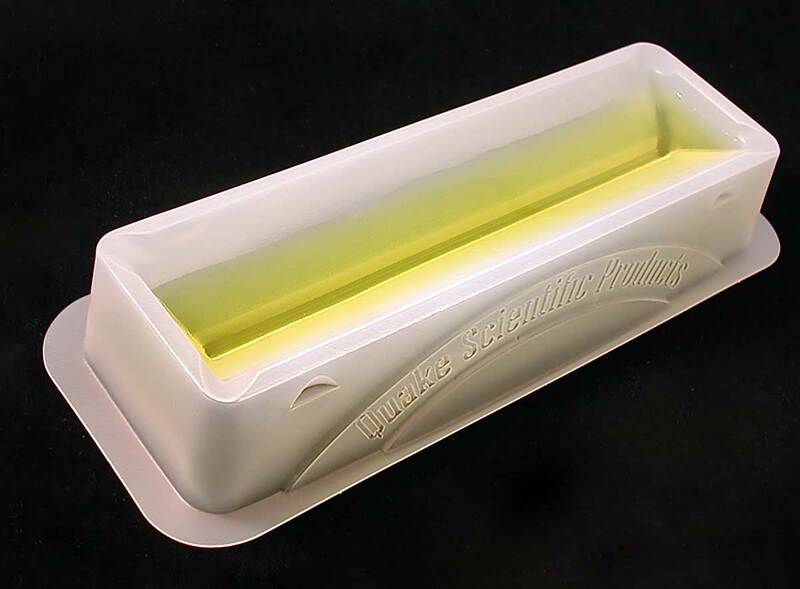 96-well silicone rack provides tight seal to capsule bottoms during incubations or transfer of fluid-filled capsules to ovens and incubators. Autoclavable.